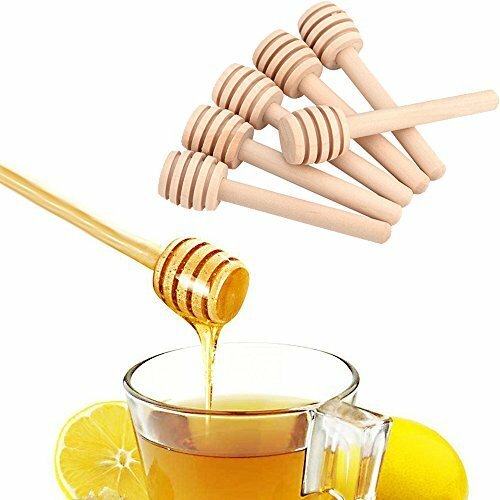 Honey Dippers Wooden Stirrers 8cm Portable Mini Jam Stirring Rod Set of 50 by BEINIU at Jakis Cafe. MPN: unknown. Hurry! Limited time offer. Offer valid only while supplies last. Features:Brand new & high quality.Easy to use.Best way to take honey.Material: wooden.Length:approx. Made of 100% natural food-grade wood, no glue, safe, durable and easy to clean. The grooves on these wooden dippers help you easily collect and dispense honey from the jar. Excellent drizzling tool for honey, syrup, molasses or any viscous liquid. Individually Opp Wrappe. Package: 50pcs . If you have any questions about this product by BEINIU, contact us by completing and submitting the form below. If you are looking for a specif part number, please include it with your message.